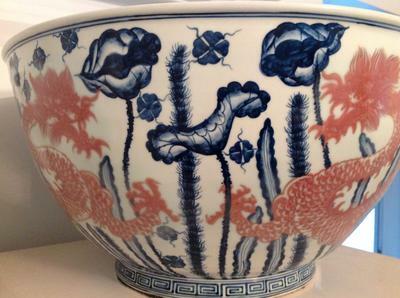 Huge red and blue dragon bowl marked, decorative or not? 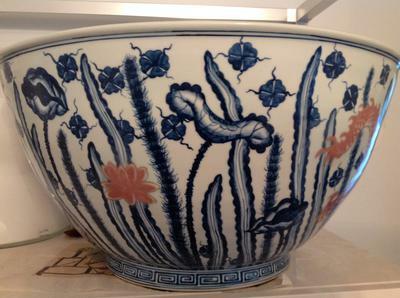 This bowl is 10" tall x 19" wide. I would like an opinion/ impressions of the piece; decoration or masterpiece? 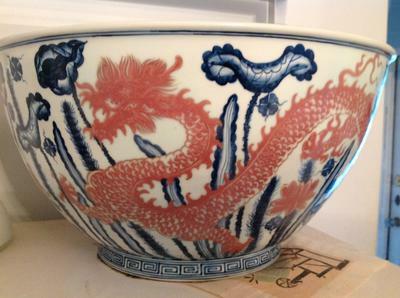 Comments for Huge red and blue dragon bowl marked, decorative or not? 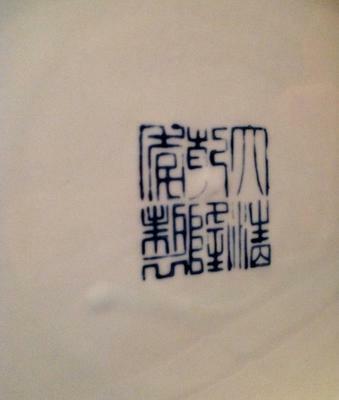 Contemporary bowl with spurious Qianlong mark.